The following resources have been developed by or for Opportunity Youth United to help members learn, be inspired and get involved, and to guide our local and national work. There’s more! Please visit our News section to find stories and videos. 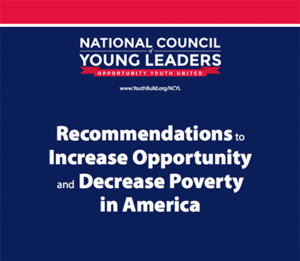 These Recommendations cover expansion of pathways out of poverty for Opportunity Youth plus detailed system changes for education, upward mobility, criminal justice, community development, and family supports to diminish poverty and improve living conditions through building supportive communities for all Americans. We believe these should guide all political candidates interested in addressing poverty and injustice. 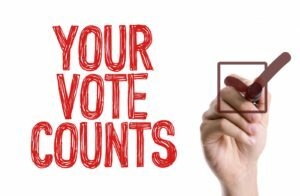 CIRCLE and OYU staff worked with young leaders in six states—Arizona, Kentucky, Louisiana, Massachusetts, Mississippi, and Washington— to understand youth voices through a survey about their experiences with, knowledge of, and perceptions of election and voting. Our initial findings, summarized in the PDF, identify barriers that young people face in casting a ballot, and specific action steps to remedy them. The Center for Information and Research on Civic Learning and Engagement (CIRCLE) at Tufts University conducted two large-scale national surveys of 2,087 Americans ages 18 to 24 in the fall of 2018. 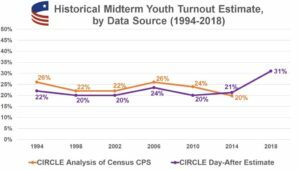 Among other findings, the 2018 US midterm elections saw the highest youth turnout since researchers at CIRCLE started collecting data in 1994. Their additional findings are summarized in this article. 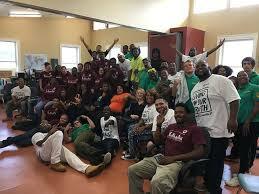 YouthBuild USA, Jobs for the Future, and Forum for Youth Investment contracted with Civic Enterprises in 2012 to develop this roadmap to federal funding for one million “slots” in proven existing federally authorized programs for Opportunity Youth. We had it updated in 2016. 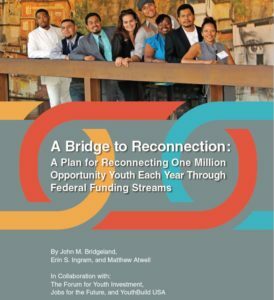 It provides the basis for the Reconnecting Youth Campaign’s call for an additional federal investment of $4.1B/year. 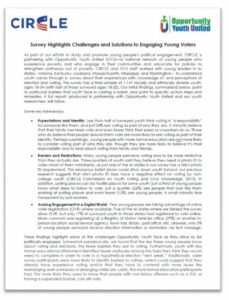 In 2015, funded by the Youth Engagement Funders, the NCYL held numerous focus groups with former opportunity youth from over 20 states and developed this analysis of why young people don’t vote, and what steps would be effective in inspiring them to get involved. This paper is a guide for the Community Action Teams and for CIRCLE’s additional research on civic engagement for low-income youth. This handbook includes detailed and easy-to-follow instructions to guide voter registration trainings and campaigns. It was first developed by Indivisible, but modified by OYUnited to be nonpartisan. In 1968, the Kerner Commission concluded that America was heading toward “two societies, one black, one white-separate and unequal.” Fifty years later, in 2018, the Eisenhower Foundation released this book to report on the progress, and lack thereof, since the Kerner Commission Report offered a comprehensive set of solutions to prevent violence in America. Decisions are made every year by elected senators and representatives about how much of the federal budget to spend on what activities, and they profoundly affect all of our communities. Schools, Head Start programs, health care, national service, national defense, job training, public and subsidized housing, food stamps – it’s all affected by the federal budget. 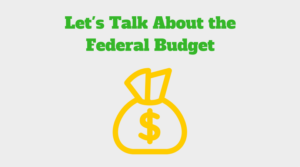 In our Quick Guide to Understanding the Federal Budget, you can learn more about where the money comes from, the process of budget approval, how the budget is spent, and become a part of this very important process! 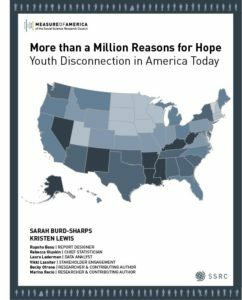 More than a Million Reasons for Hope: Youth Disconnection in America Today analyzes youth disconnection in the United States by state, metro area, county, and community type, and by gender, race, and ethnicity. Disconnected youth, also known as opportunity youth, are teenagers and young adults between the ages of 16 and 24 who are neither in school nor working. As part of the May 2018 Our Power, Our Community, Our Change. Summit held in Washington, DC, by the Marguerite Casey Foundation, members of OYUnited created a short social media video, #OwnThePower. 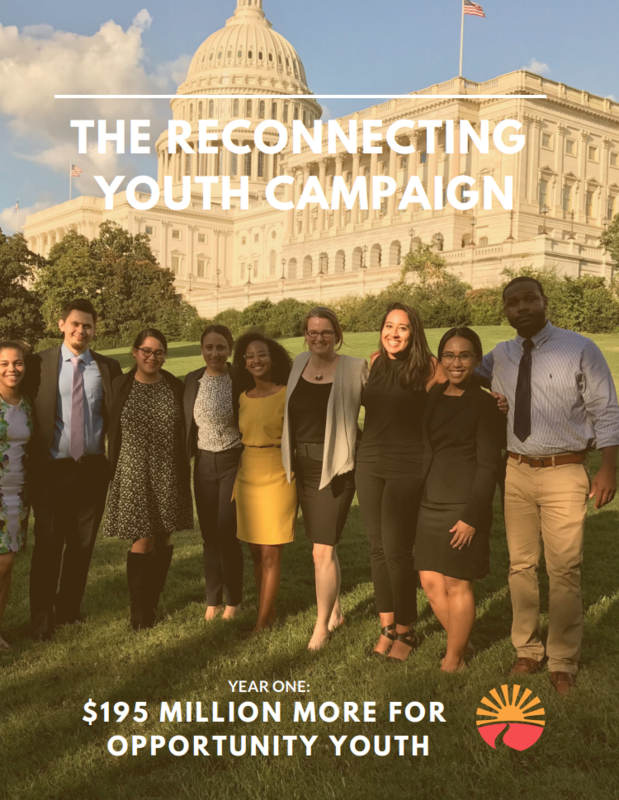 In January 2017, the Reconnecting Youth Campaign launched, calling on Congress to invest in America’s future by funding education, employment, training and national service opportunities for one million Opportunity Youth: young people ages 16- to 24 who are not in school and not working. In FY19 they invested $3.338B ($122M more than FY17 levels). Total investments across the two years add up to $195M more funding than if investments stayed at the FY17 levels. This brief lays out the keys to our legislative success and offers an analysis of which programs received the funding increases, as well as information on who can receive these funds and how to apply for them.